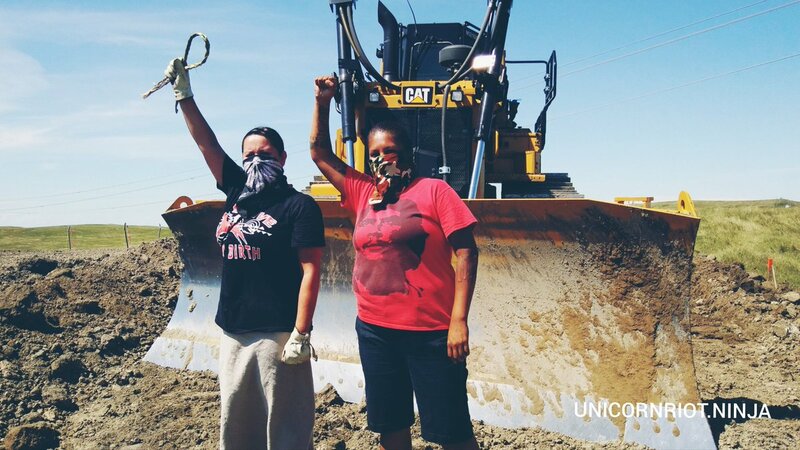 Denver, CO – Upon his return to Denver from the construction site of the Dakota Access Pipeline (DAPL) in early September, we sat down with Uŋpa Nuŋpa of the Zintkala Luzahan Camp to hear his story. Uŋpa first shared his eyewitness account of the women-led direct action that took place on August 15th which resulted in work stoppage. He said he thinks of the Oceti Sakowin camp, gathered in response to the pipeline issue, as an opportunity for all indigenous peoples in this hemisphere to begin addressing historical injustices and broader issues. He also talked about the attack that occurred on September 3rd, when the private security company for the pipeline unleashed dogs on the protesters. 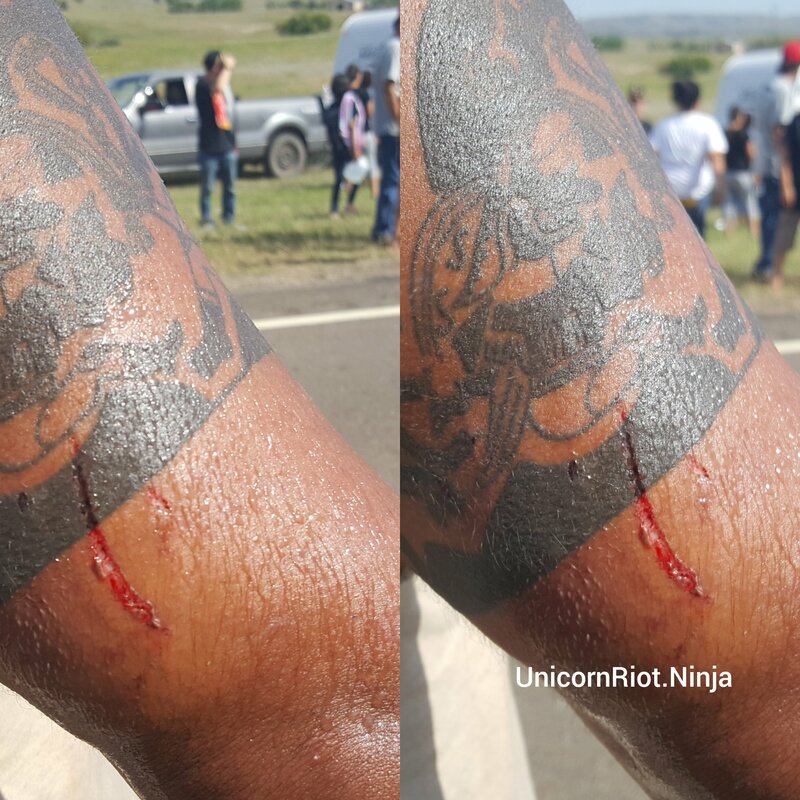 Six individuals were injured by the dogs, including Uŋpa’s daughter. Uŋpa described the especially mystical and peaceful aspects of being in the camp, with everyone coming together as a community without the need for police, banks or jails. He stated he feels like a “true self-sovereign” there, and referenced the encampment as an opportunity for expression. We will continue to bring you updates of the Sacred Stone encampment as events unfold. For a recap of our coverage to date, see below.